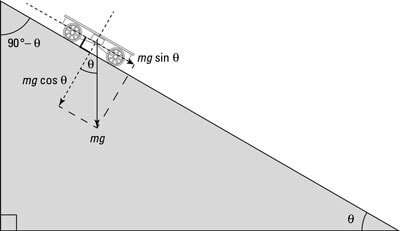 The figure shows an example of a cart moving down a ramp. 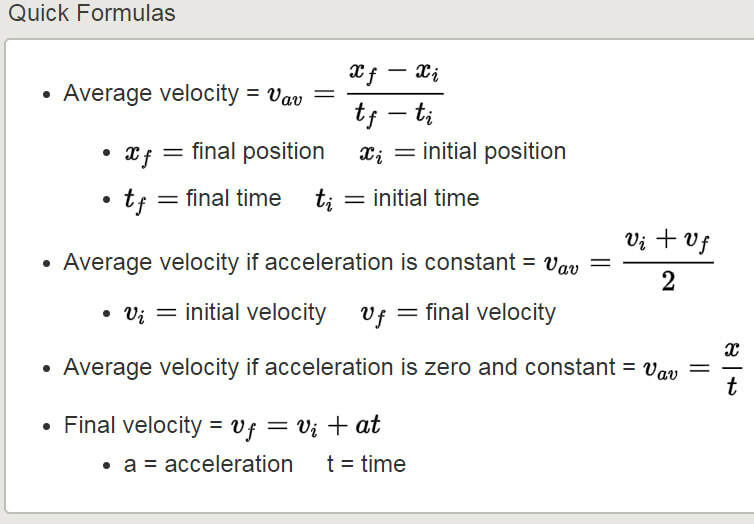 You can use the formula with the information in the figure to find the cart’s final velocity. 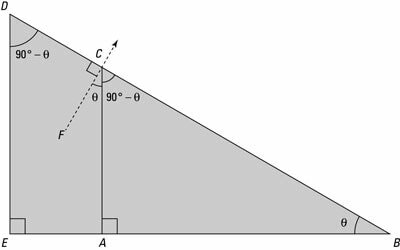 Now here’s another example: How fast would an ice cube on the ramp go at the bottom of the ramp if friction weren’t an issue? Mass doesn’t enter into it.